Meet the Beacon Hill Herdsires. 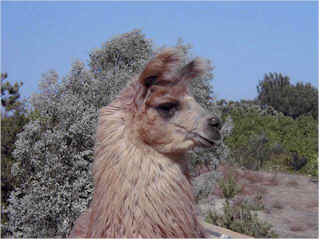 Our studs are available for limited breedings. Inquiries welcome. 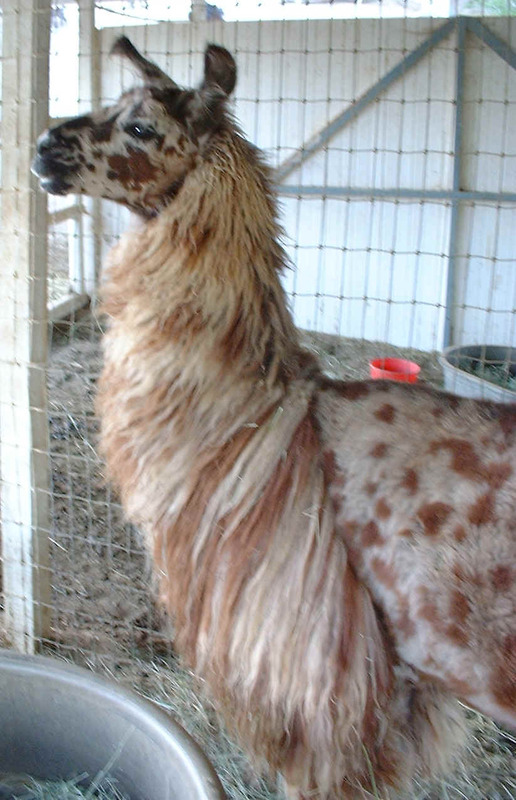 Jak has produced incredible crias with stunning color and fiber. 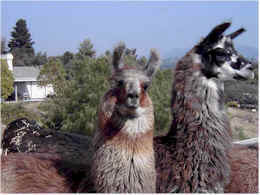 Jak's splendid sons, Sherlock and Finn (Affinity) are also at stud. Affinity (Finn ) had an absolutely stunning cria this spring. To view this girl, please press this button. 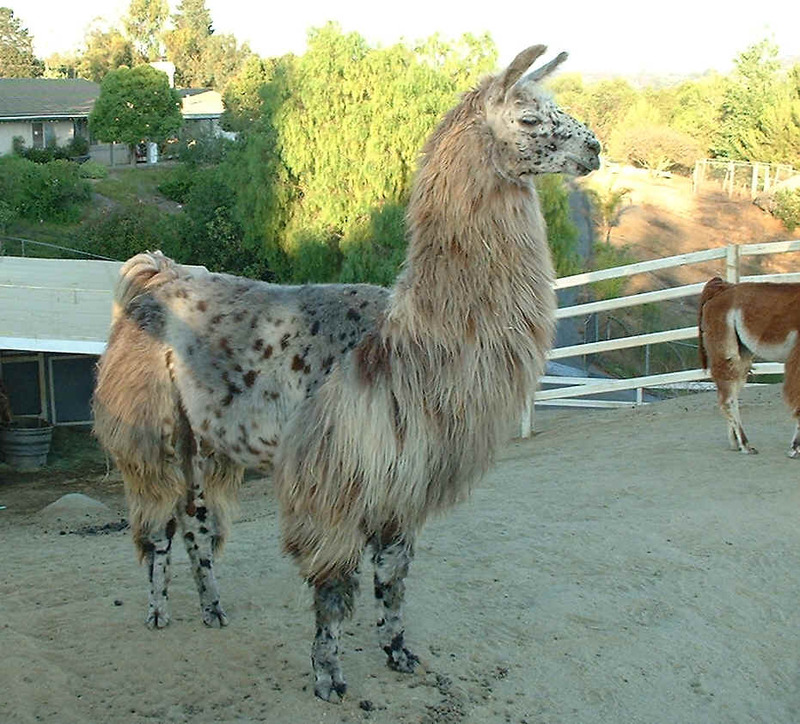 Please go to our Cria page to seeJak's newest offspring, The Ninth Wave. He can also be found on the males for sale page. Thank You Ken and Nanci Sutton for purchasing a breeding to Millennium at the recent LASC Stud Auction. Beacon Hill Farm announces the birth of our RLL Millennium crias!! 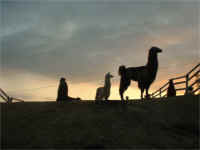 Millennium carries the genes of Leroy Brown and Chilean Canoso and his crias reflect the quality of those bloodlines. Crescendo is now approaching 3 years, and has lived up to the promise of his youth. He qualified for Western regionals this year. 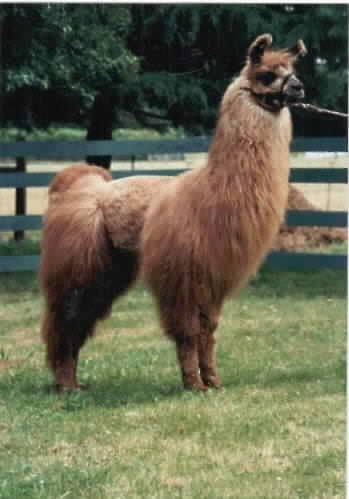 He has wonderful disposition, conformation, and fiber. 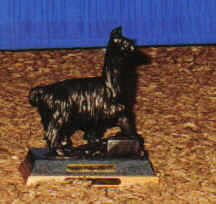 Flambe spent his formative years at Llama Woods Ranch and was one of their main herdsires along with LW Gucci. 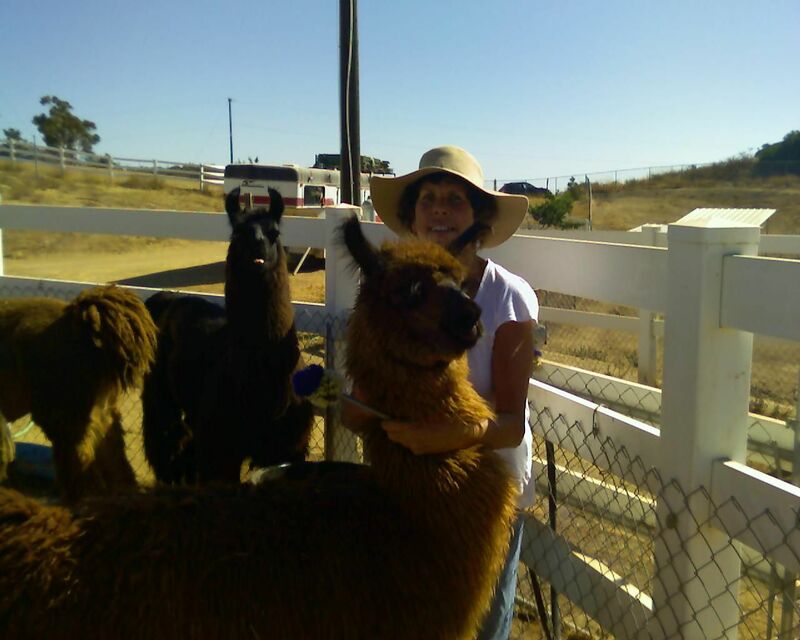 This Top Flight son was purchased by Applegate Llama stud, and we are grateful, indeed, to Andrea for offering him to us. With his delightful disposition, rare grey coloring, and excellent conformation, we were happy, indeed, to add him to our breeding program. He is available for limited outside breedings. 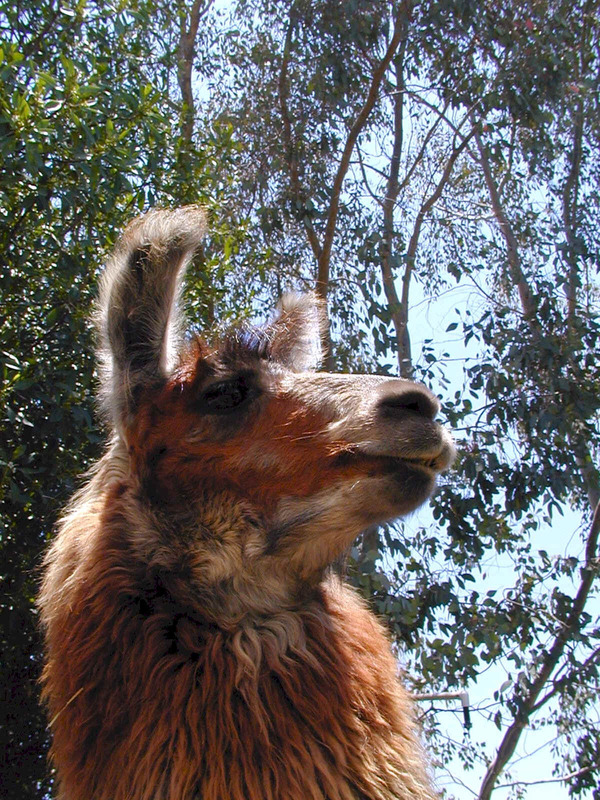 He is co-owned by Bonita Llama Farm. 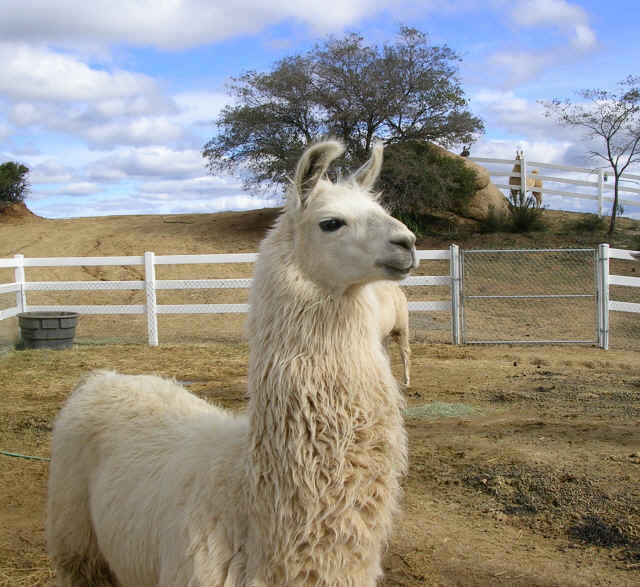 Flambe recently sired a saucy little female, Ariel, who seems to display his spark and presence. 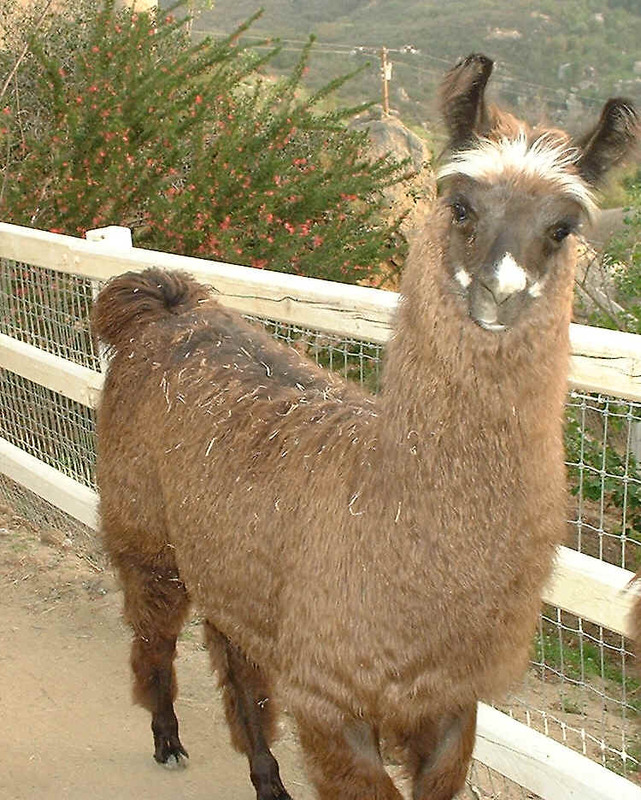 This little cria demands your attention with her "look at me" attitude. .
We felt like we won the lottery when we purchased Serpiko. 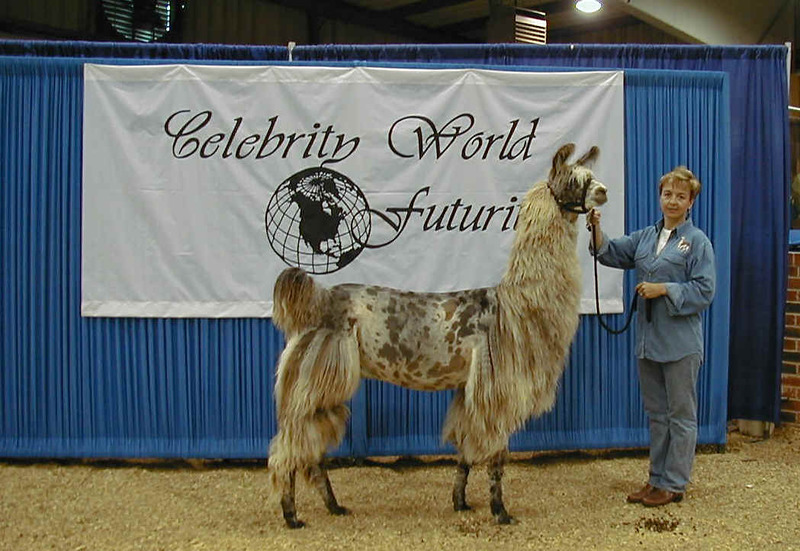 This Argentine Kobra son is everything you could ever dream of in a llama. 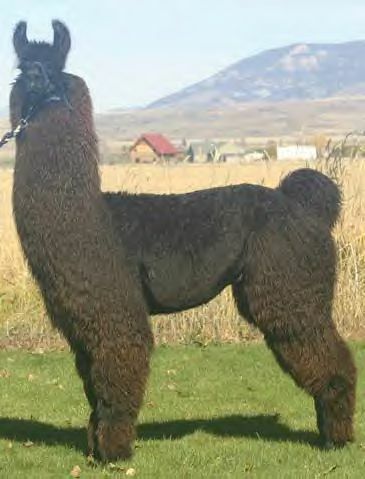 He has superb conformation, beautiful silky fiber (which has received excellent placement in walking fiber competition), and top it all off with a super disposition. When we entered him in the Celebrity Futurity and he placed first in his class, it was more than icing on the cake. We are still pinching ourselves for our good fortune. This boy is available for limited breedings. This boy moves with a fluid motion that makes him appear to be gliding. We thought we had it all when we got Serpiko, and then we saw Lut. 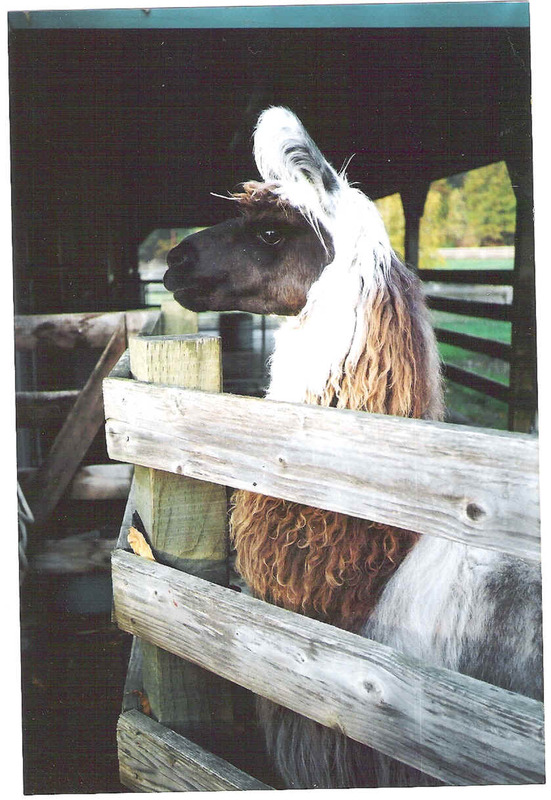 When he went to the ALSA April Magic show in April, he thrilled us all when he won Grand Champion and then Supreme Llama in the show. 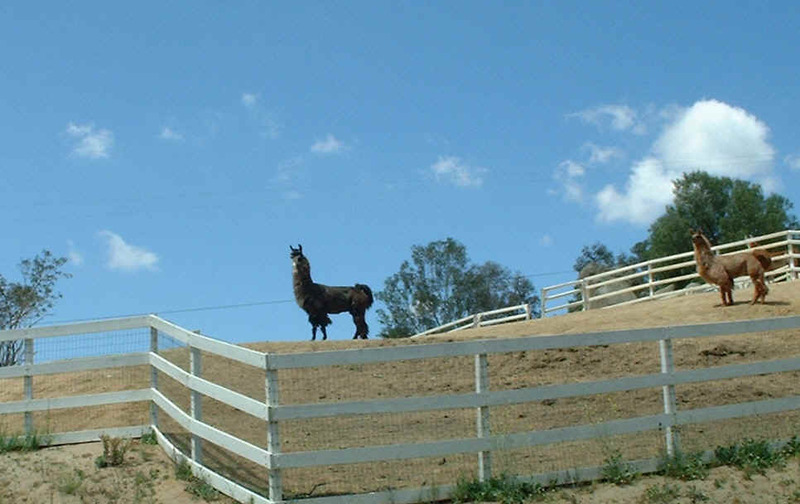 He is co-owned by Bonita Llama Farm. As we watch him grow, we are more and more pleased as he fulfills his genetic potential. Our original herd was founded on the offspring of three impressive, well-recognized herdsires: Lom's Batman, Long's High Five. and D.E. Pillar. We have enjoyed wonderful offspring from our High Five, Batman, and Pillar daughters. Now two of our High Five and one of our Pillar sons (shown below) are available for breeding. For a picture of a young Mirror Image, please go to our Future's page. 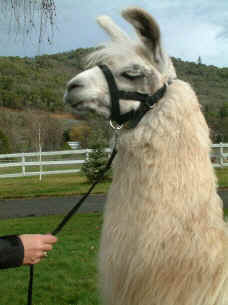 Finesse brings to our herd the genetics he inherited from the beautiful Leroy Brown son, Rar' Old Spice. He has wonderfully silky, curly fiber. Bardo's Garcilaso and RMP's Bravo Conquistador are shown below. 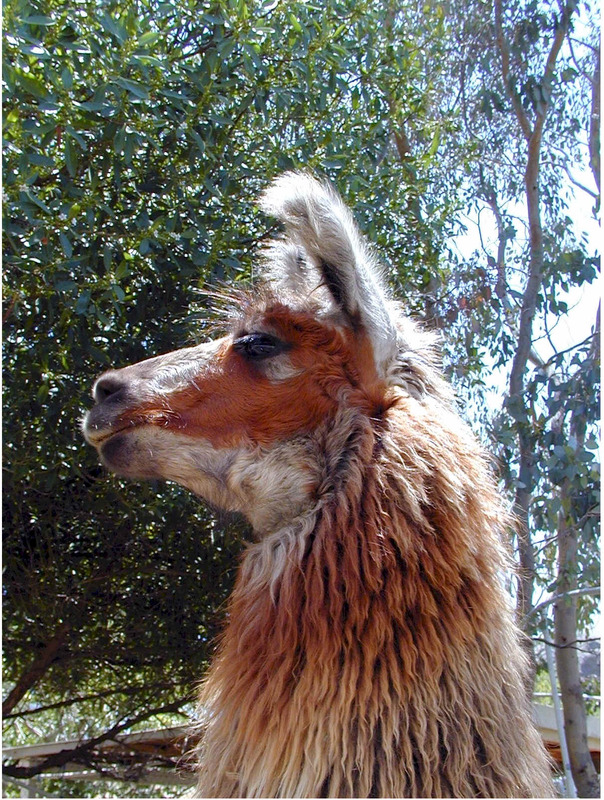 This Peruvian Bardo son looks a bit like a cinnamon bear. His color is so luscious, and he has wonderful bone. 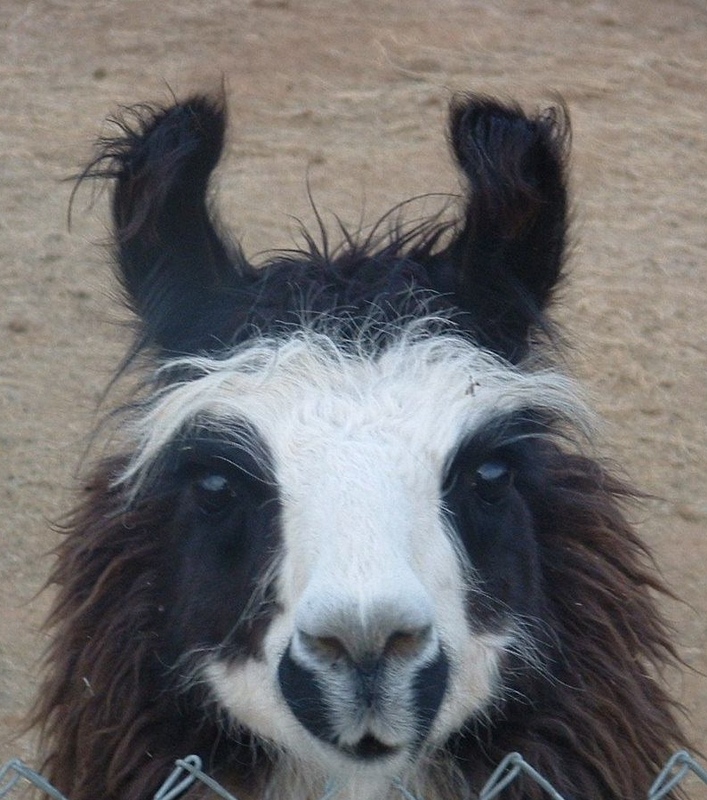 We have enjoyed some wonderful crias from him, and currently have one in our Mom and Baby pen. This Pillar son is simply gorgeous. 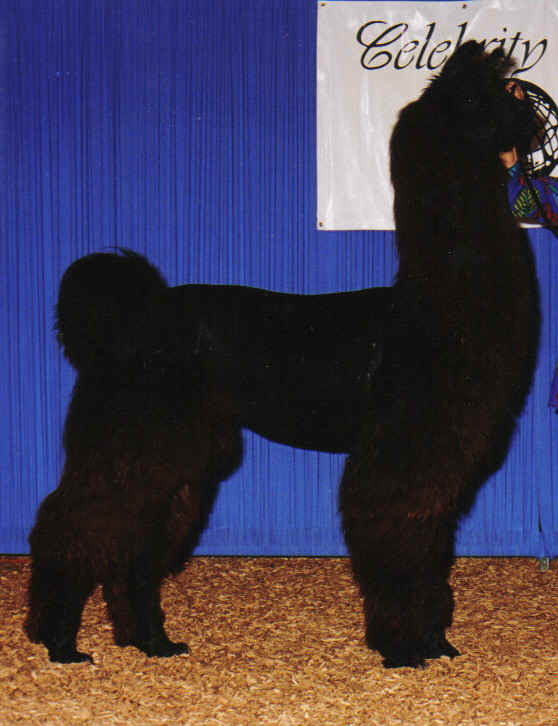 His grandsire of was Huff Ranch's Tai Pan. This boy carries Conception, Batman, amd Pillar genes, a stunning combination. He is ready to breed, and is available at stud. Consider adding thisremarkable male to your herd. 2. You will receive 30 days of free board for your female during the breeding. 4. We also furnish discounts on multiple breedings done at the same time. 5. When we sell breeding-quality females, a breeding to one of our studs is included in the sale price. Ask about Tillman's Bueno Chico-IntroductoryPrices and Beacon Hill's Spittin' Image, Selby's Frolicking Gold (who qualified for Nationals this year) and our striking reverse appaloosa, RMP's Bravo Conquistador.